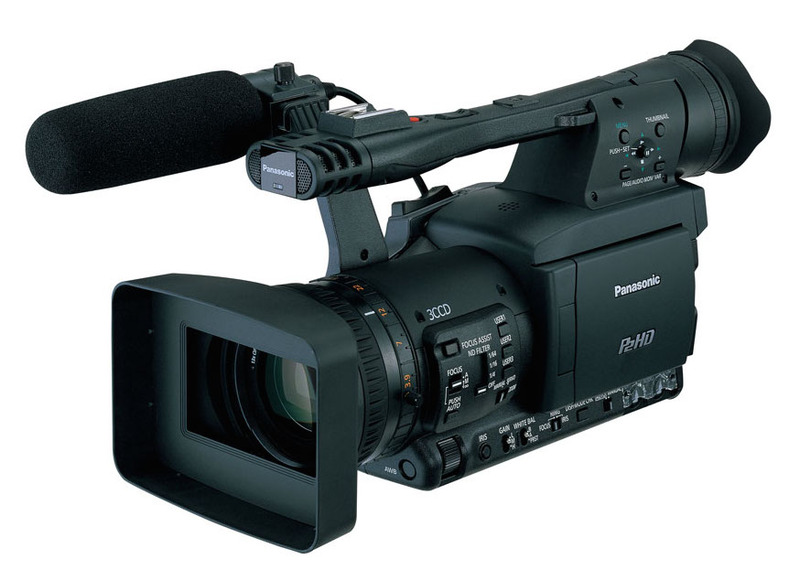 The Panasonic AG HPX-171 comes equipped with a new 1/3″ progressive 3CCD system and delivers a significantly improved signal to noise ratio and prevents smear. Other features on this new camcorder include a 20 step variable frame rate function that allows you to create slow or fast motion effect (known as overcranking and undercranking). The camera also features an improved focus assist function to support HD shooting, a waveform/vectorscope display function, and an HD/SD switchable output compatible with a wide variety of functions. The new 13x Leica Dicomar lens on the AG HPX-171 is lighter and more compact than the acclaimed lens on the HVX-200. It features a class leading width of 28mm which provides exceptional versatility without the need for a conversion lens. Weighs only 4.2 lbs (1.9 kg) and has a compact handheld size. 13x zoom lens with 28mm (35mm equivalent) wide-angle setting, 72mm diameter and cam-driven manual zoom. Newly developed 1/3” 16:9 progressive CCD for high image quality and sensitivity. Eleven-step frame rate selection in 720p mode for variable-speed shooting in the 12 fps to 60 fps range. Selectable gamma including Cinelike mode. Broadcast quality DVCPRO HD recording in 1080/720 HD multi-format. Two P2 card slots allow up to 64 minutes of continuous HD recording when using 32GB P2 cards. Hot swap rec, loop rec, pre-rec, one-shot rec, and interval rec functions. SD multi-codec recording in DVCPRO 50/DVCPRO/DV, with 16:9/4:3 aspect ratios. XLR 2-channel audio inputs with 48V power. IEEE 1394 and USB 2.0 terminals for PC interface.